This is one of those entries that need very few words. This couple has a very palpable synergy between the two of them that truly made their captures come alive. To tell their love story, we started out our engagement shoot at the newly opened RH Chicago in the Historic 3 Arts Club building located in the Gold Coast. This gem of Chicago architecture hosts an incredibly gorgeous set of interiors, streams in natural light AND you can order bubbly!! Sign me up !! After we toasted to their engagement, we recorded a bit of Jenna + Ajay's love story for the audio archives they will surely reflect on in years to come. After sharing laughs and another round of bubbles, we headed to the lakefront to capture the perfect Chicago skyline from North Avenue Beach. I've said this before and I'll say it again: it is so important to me to create truly authentic imagery for our clients! 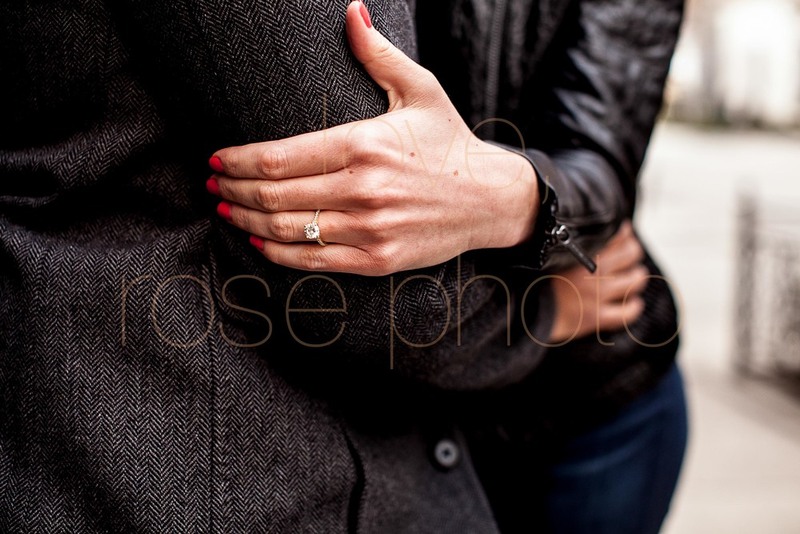 No one engagement shoot is ever the same because no one couple is ever the same. This set is unique to this distinctive couple, created and curated around their story. As a true storyteller, I like to make certain all the imagery we create, be it in engagement shoot, on the wedding day or when we follow up with you as your story continues, is genuine and carries the true narrative of that time in your story. 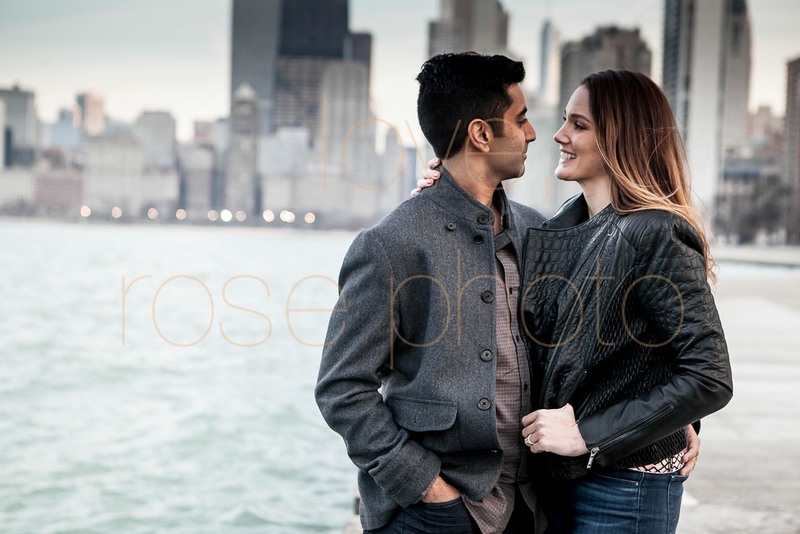 Jenna + Ajay, thank you for being yourselves, for trusting the Rose Photo crew with your story and having us to capture all the beautiful details leading up to your wedding day. See you at the Mehndi + Then at London House in the fall! !